Making playdough is so much more fun than buying it. Making it is half the fun in playing with it! I found this awesome easy recipe at Homemade Mamas. Mix all of the ingredients together in pot (nonstick if you have it). Cook over medium high heat, stirring frequently until it forms a ball. Turn out onto counter, let cool, then knead a few times. 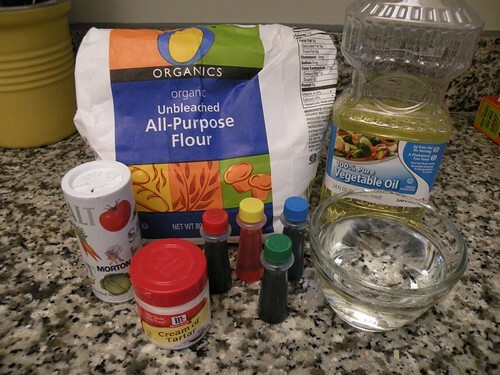 You can mix food coloring in before or after you cook it. It keeps best in refrigerator. A few things to keep in mind: Make sure you mix all the ingredients before you put it over heat. 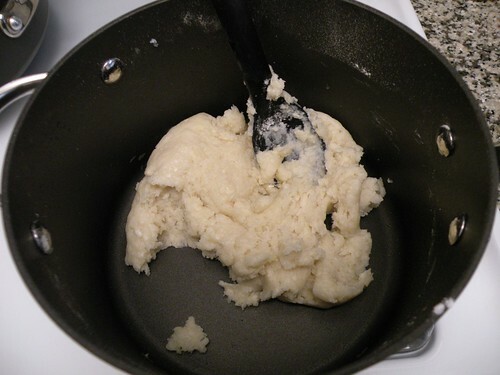 If you add the ingredients while the pot is hot it causes the flour to get lumpy and then your playdough looks like it has acne. 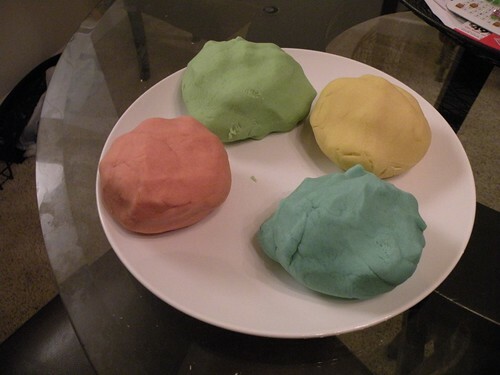 I added the food coloring after the playdough was cooked and removed from the pan. For the four balls pictured I doubled the recipe and then divided the dough into four sections. Let your kids help mix the color in because you really have to kneed the dough well to get it mixed in. My hands got a really good workout! 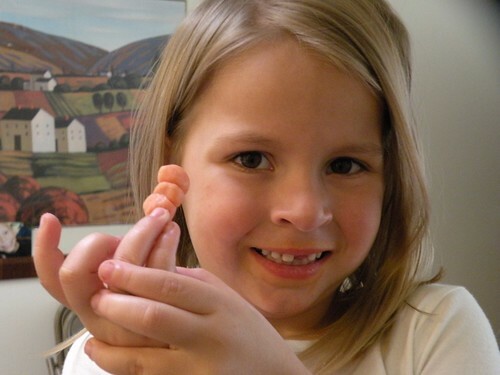 I’m excited to see your playdough turned out so awesome. I cant wait until my daughter is old enough. Super fun! This is great! My son is always asking if we can make our own dough. And my husband is always afraid playdoh is toxic…so this will be great. Thanks! I can’t wait to make a batch with my kids!